She claims it was unintentional. Still, the findings remain valid, said Piston — he’s seen data from original lab notebooks, including at least 1 other version of the same figure, that show the same results. Other people have also since built on the paper and reproduced its findings, he said. We contacted Zhang, now based at the University of Colorado Anschutz Medical Campus, and will update if we hear back. We felt it was the highest road to take. For us it was really an embarrassment, and it was better to just bite the bullet. We were the ones who signed our name to the bottom line, so we should stand up and say we didn’t do a perfect job. CELL BIOLOGY Retraction for “Metabolic regulation of SIRT1 transcription via a HIC1:CtBP corepressor complex,” by Qinghong Zhang, Su-Yan Wang, Capucine Fleuriel, Dominique Leprince, Jonathan V. Rocheleau, David W. Piston, and Richard H. Goodman, which appeared in issue 3, January 16, 2007, of Proc Natl Acad Sci USA (104:829–833; first published January 9, 2007; 10.1073/pnas.0610590104). A representative of the journal had no additional comments. Another problematic 2007 PNAS paper. 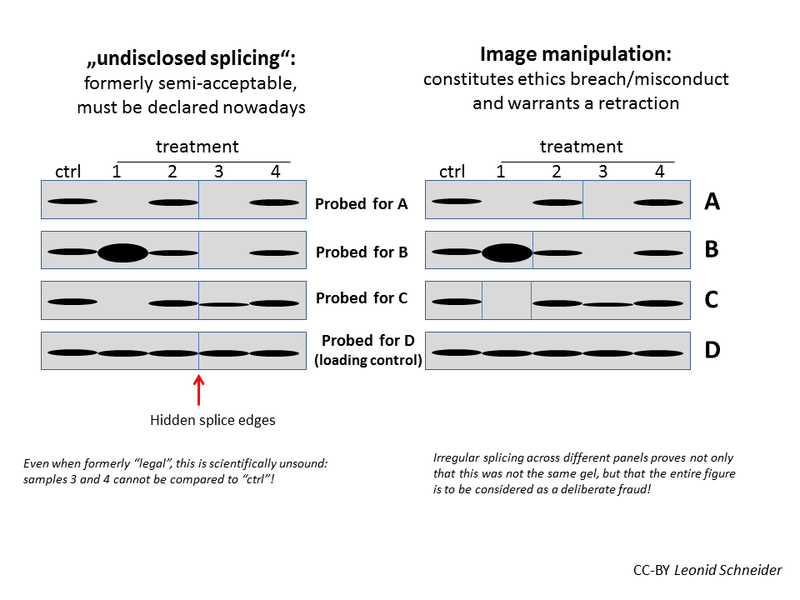 It always strikes me: if the claims made by retracted papers are absolutely valid then what was the rationale of fudging images anyway? The problem lies more with some journals allowing such statements. Not the case here, but the authors made it public anyway. In such situation, where the data to support the validity claim is gone the way of the retracted paper, it is not for the authors to decide what is still valid or not, but for the scientific community. BB, same thing for plastic surgery. Don’t forget that this was communicated (ie on the “contributed” track) by the senior author (Goodman) as a NAS member so he would also have been responsible for the review process. I have been associated with several submission of this type and I can say that the level of oversight by the communicating member varied widely (n=3). It would be interesting to know if these NAS member contributed papers have a higher incidence of retractions or concerns than papers that get in through the regular peer review process. How are we to understand that? Piston cannot mean that nobody believes that paper’s claims nowadays, because he insists the data were still valid, despite admission of image manipulation by the lead author. So what did Piston mean to say? That this paper brought all possible funding and jobs, so it is squeezed dry in this respect and can be retracted, without any consequences? This is how I understood it, and to me this sounds very disrespectful and arrogant. This sounds to me like cynicism we used to hear from investment bankers. I confess, that was also my interpretation. Well, when you also count the “striking degree of similarity” between the right-most CtBP band in Figure 1D and the right-most CtBP band in Figure 3A (with the obligatory horizontal flip), it’s a good job this was retracted. If they’d tried to simply correct it, that could have been embarrassing. Paul, embarrassing for whom? History of literature corrections suggests authors can easily shoulder the most “embarrassing” corrigendum to avoid retraction. A retracted paper is also useless to procure funding, but in this case, see above my comment on Piston’s cryptic remark. BB above makes a pertinent remark about how this study was used (unknowingly) to inflate the PNAS IF. A very valid observation. Very broadly, what to do with publishers and journals that have, in retrospect, profited from boosted IFs as a result of erroneous science? What penalty should they have, or what should be forfeited? Indeed, the authors have suffered a knock, but the publishers continue undisturbed. Not to mention that they have also profited in real cents and dollars, from the sales of hard copies and subscriptions, so when a paper is retracted due to faulty science, did they not benefit financially off bad science? Something is wrong with this equation. Good point by “Good point!” replying to “BB”. Hopefully the IF will be a thing of the past soon, but how about a new rating system for journals, this time for honesty and scientific integrity? This would rate how journals respond to public accusation of misconduct and irreproducibility in their papers, address the issue of obscure retraction notices and embarrassing corrigenda Paul Brookes referred. Most of all, it would be about the overall transparency of the journal’s editorial process. PNAS would however face heavy minus points for their archaic “contributed” track (as in this paper).